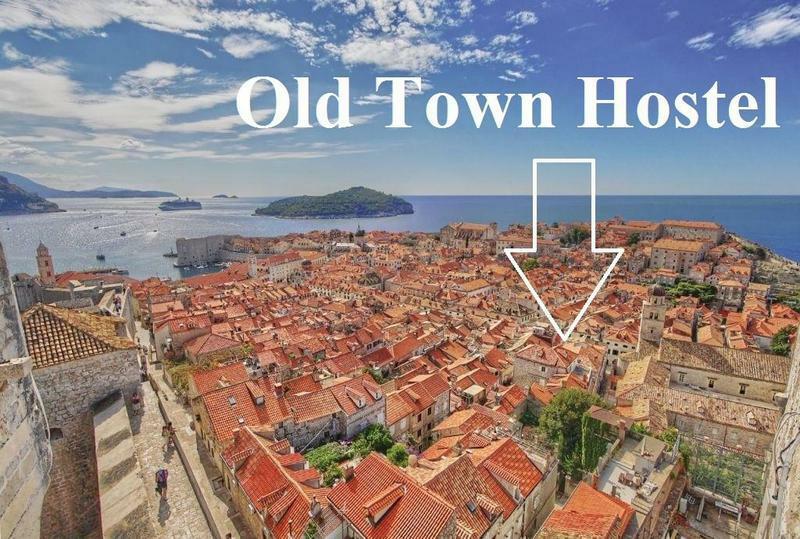 We are a boutique hostel located in the center of Dubrovnik's UNESCO protected Old City. 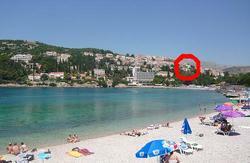 We are ONLY 15 meters from the Stradun (main street), and seconds from everything you need. Our 400 year old building has been lovingly restored to comfortably accommodate 27 guests in spacious dorm and private rooms. 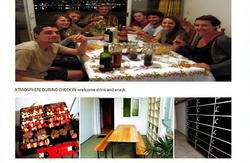 We have a large common room and kitchen to relax in and meet fellow travelers. -Reception from 8:00 to 23:00. All other times - call reception or ring the bell for assistance. Enter the Old Town through Pile Gate. Walk on the Stradun 100 meters. After passing the Fransciscan monastery, take your second left onto Od Sigurate. We are 15 meters up the street on the left. Number 7. We hope your time here will be enjoyable and memorable. Take local Bus 1A or 1B 'Pile Gate' to Pile Gate, Old Town. 15 Kuna or 12 Kuna if the ticket is bought before at a newspaper kiosk. The bus drive is 10 to 20 minutes (depending on traffic). -Shuttle Bus (35 Kuna) picks up passengers outside the arrival hall and drops you off at Pile Gate (main entrance to the Old Town). -Taxi (230 Kuna) just outside the arrival hall. Enter the Old Town through Pile Gate. Walk along the Stradun 100 meters. After passing the Fransciscan monastery, take your second left onto Od Sigurate. We are 15 meters up the street on the left. Number 7.